Heather you are one of the best teachers I have ever had! You always made each lesson fun, info-packed, and inspiring. 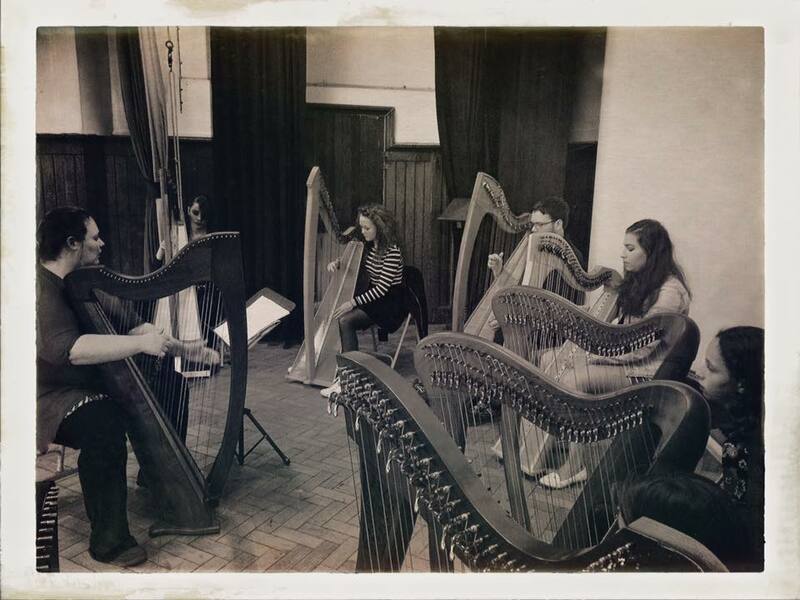 I always left a lesson floating with joy 🙂 If anyone is thinking about starting the harp or want to boost their playing, they should contact you. You're a phenomenal player too, and I can't wait to hear what you come out with next! 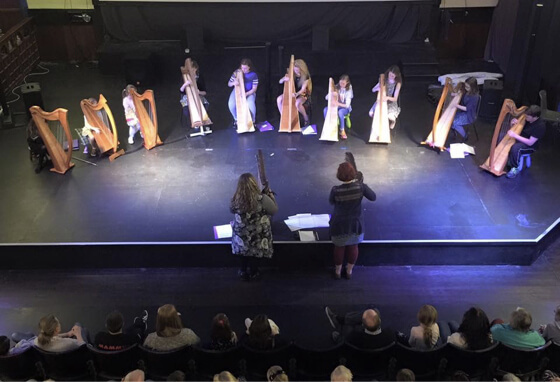 Current tutor in harp, keyboard skills and teaching world music at the Royal Conservatoire of Scotland, Heather Downie is one of the top tutors in Scotland. 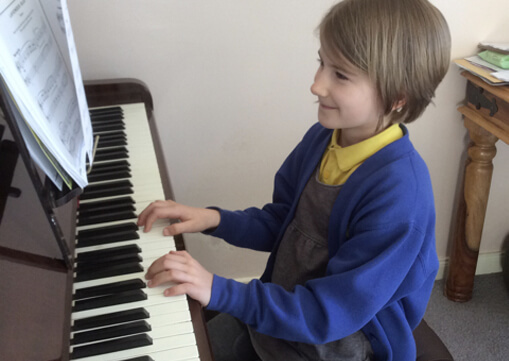 Offering one to one and group tuition in harp, piano and music theory. Working in a group or one to one, students focus on technical exercises and development of repertoire. Although Scottish and Classical music are the main focus, students are encouraged to explore as many different musical genres as they wish to develop a deeper musical understanding and personal style. Monthly large group lessons encouraged to promote music sharing and listening skills. Whether you are hoping to work through ABRSM exams or you are preparing for one very important audition or competition. A one off session or course of lessons could be the key to success. Monthly lessons are offered, and encouraged amongst all students. These lessons encourage music sharing, aural skill development and fun! 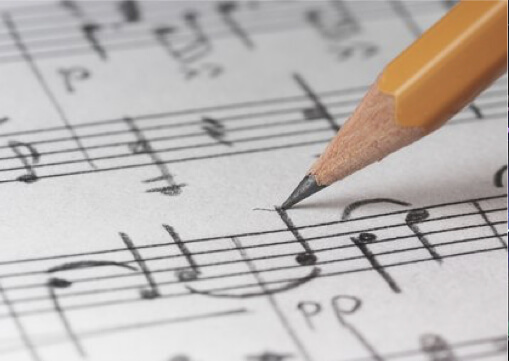 Whilst music theory is encouraged with all students, lessons focusing solely on music theory are available. Lessons can be tailored to student’s needs from working through Associated board books with a theory grade exam at the end of the course, a composition skills focussed course or traditional / jazz / classical harmony exploration course.